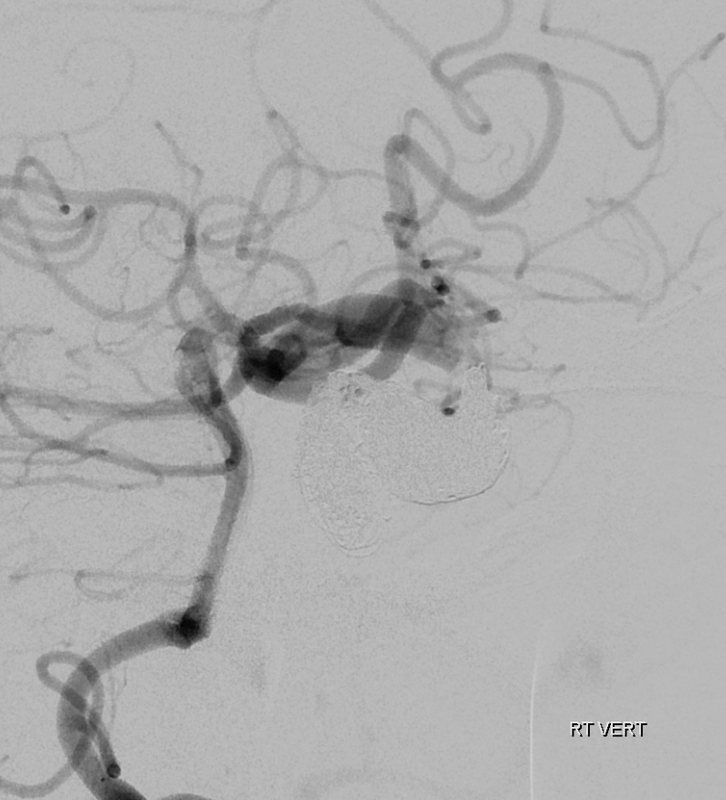 Look at the tremendous curve of the 5F vert has to take to get into the proximal right CCA. 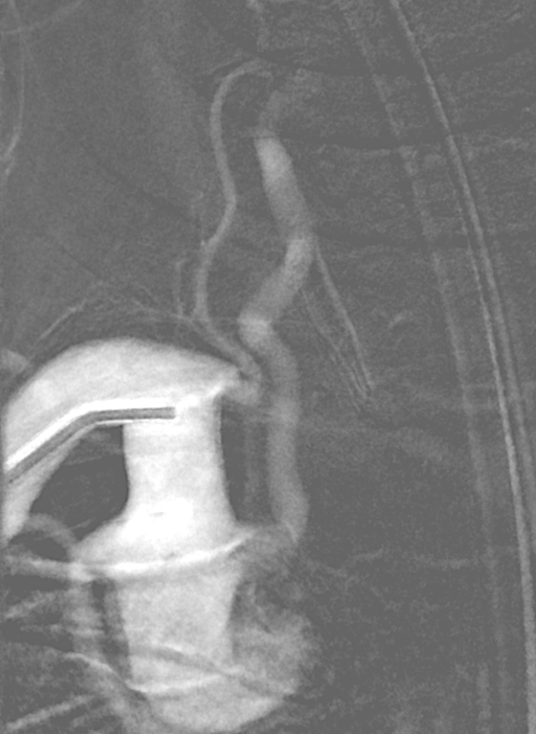 Right CCA injection shows a giant direct CC fistula. 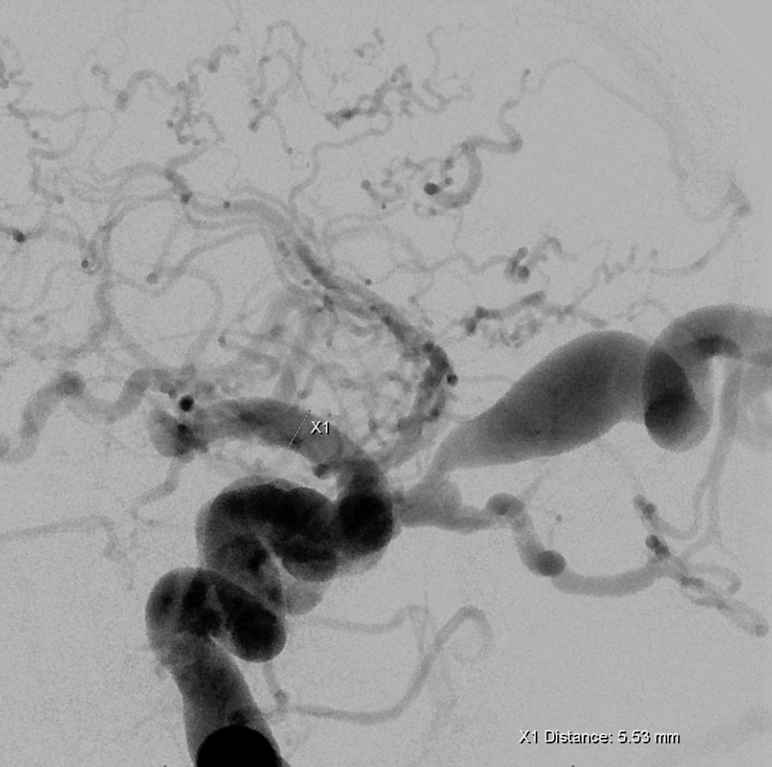 Aside from extensive superior and inferior ophthalmic vein engorgement (ocular pressure = 35) there is marked retrograde congestion of superficial sylvian and deep sylvian veins. 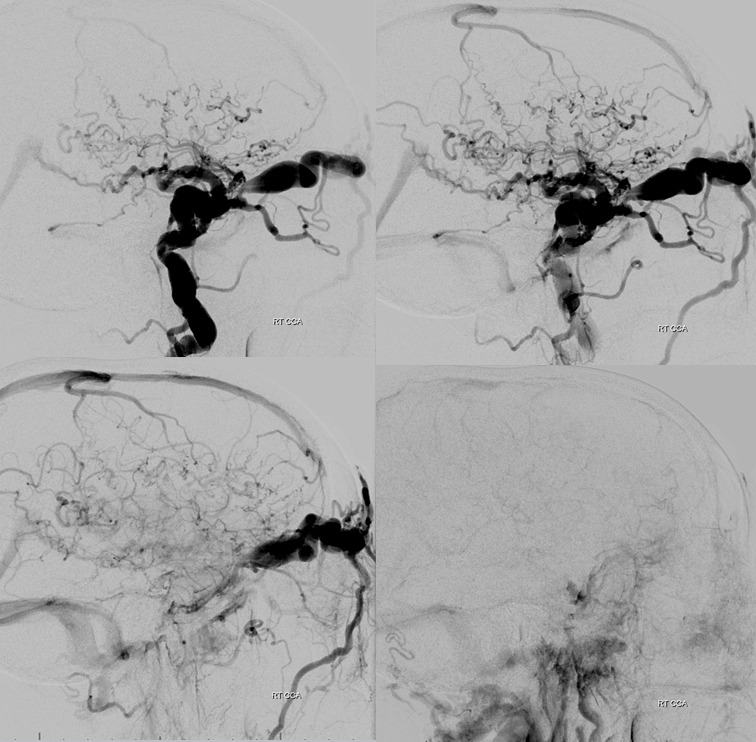 The superficial congestion extends to the frontal operculum and basal vein as well as superior sagittal sinus are both visible as well. 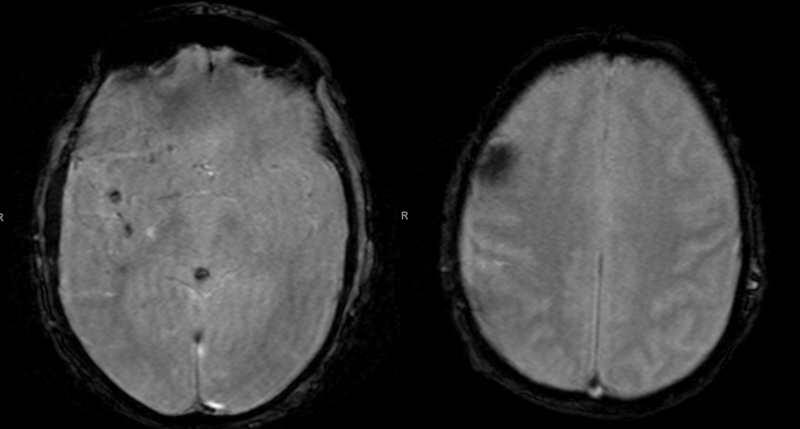 Venous phase image of brain (bottom right) shows extent of venous congestion. 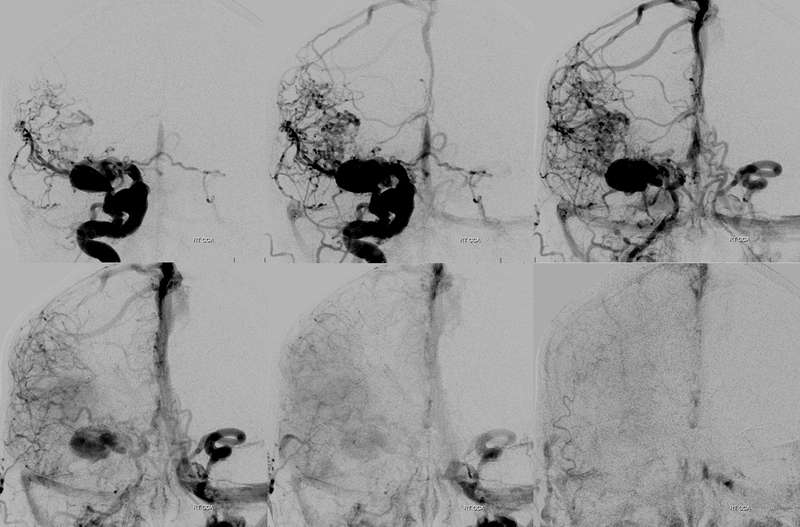 Stereo Views are particularly good for understanding cavernous sinus outflow and for venous drainage in general. Highly recommended. A better understanding of the fistula site. 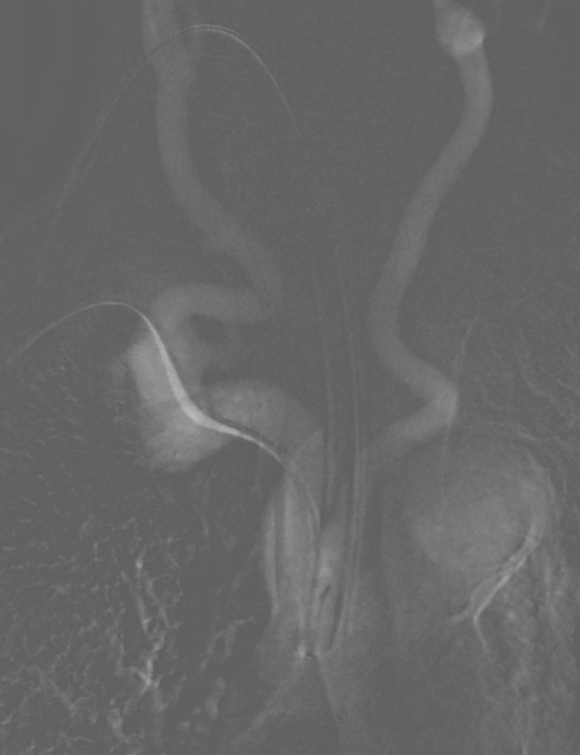 There is a pouch at the horizontal cavernous segment projecting inferiorly which likely represents a ruptured cavernous aneurysm with secondary fistula formation. 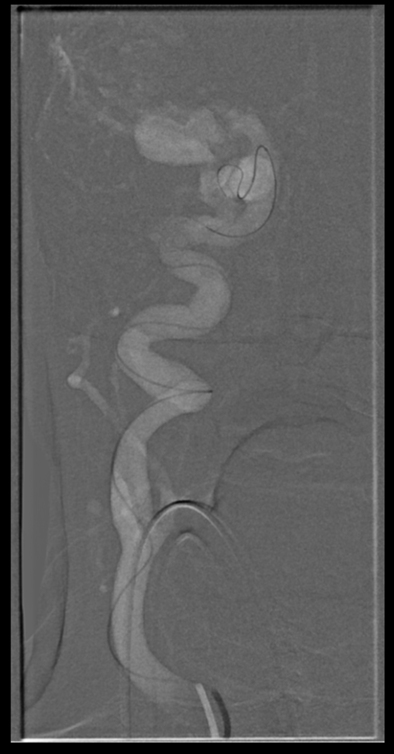 There are many ways to lose this kind of fistula The idea here is to close the carotid artery at the level of the fistula. 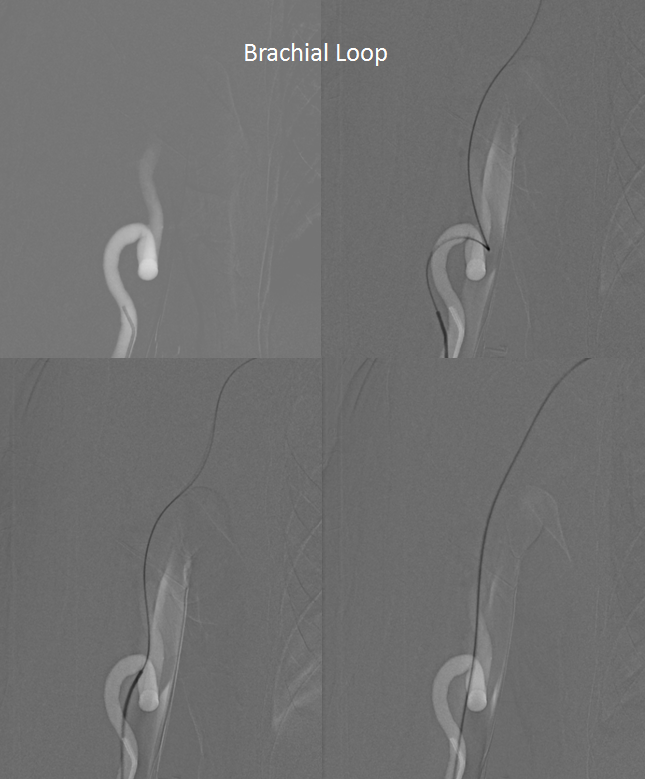 The key is to prevent retrograde flow into the fistula and therefore to achieve a distal enough position with the catheter before using whatever it is u want to use to close this vessel. 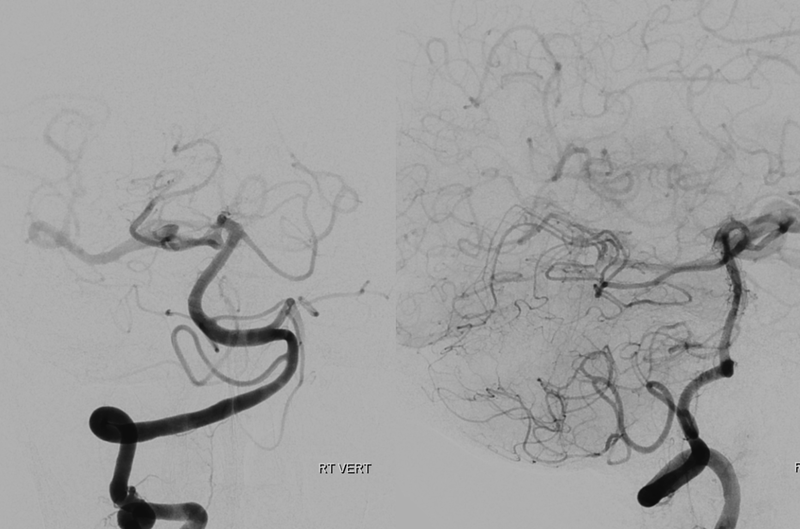 We typically prefer pushable firbercoils at some stage of occlusion due to their high efficacy and low cost. 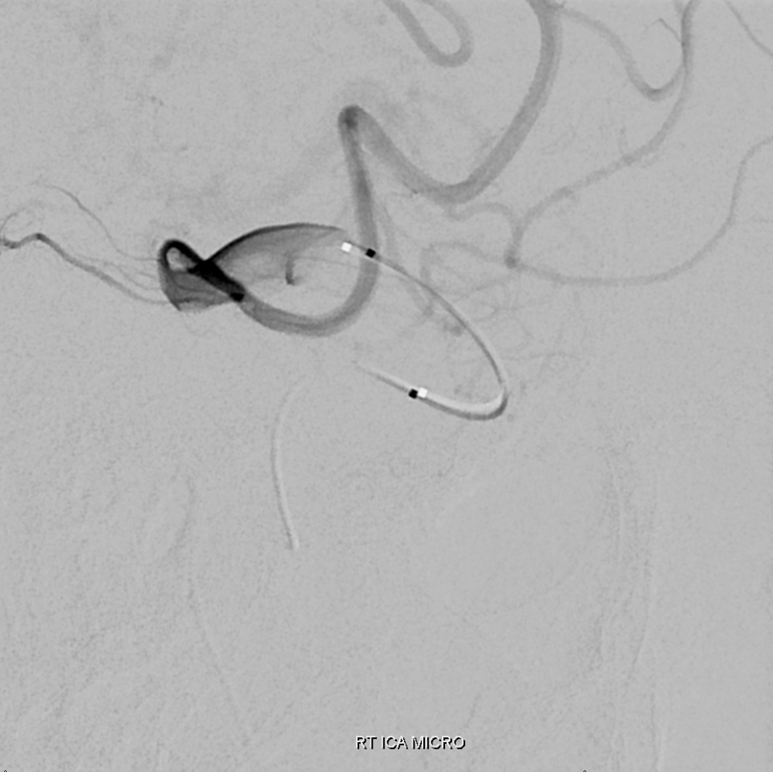 However due to access limitations we were only able to advance the guide (5F vert in this case was the best choice) we could only achieve distal enough position with an SL-10, necessitating use of detachable platinum coils. 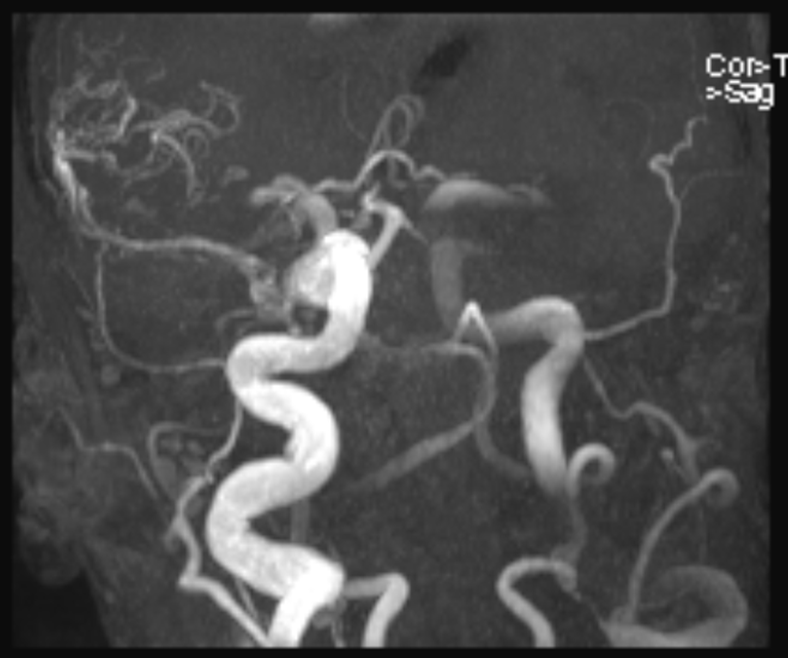 During coiling, There is filling of the anterior cavernous genu and cavernous sinus proper, with early filling of the proximal cavernous ICA. It takes a lot of bare platinum coils to close these, at very high expense, which is why we almost never do this, except in cases like this. Pushable fibercoils and even Amplatzer plug when u can get it up there are much more effective, much cheaper, and safe given experience. 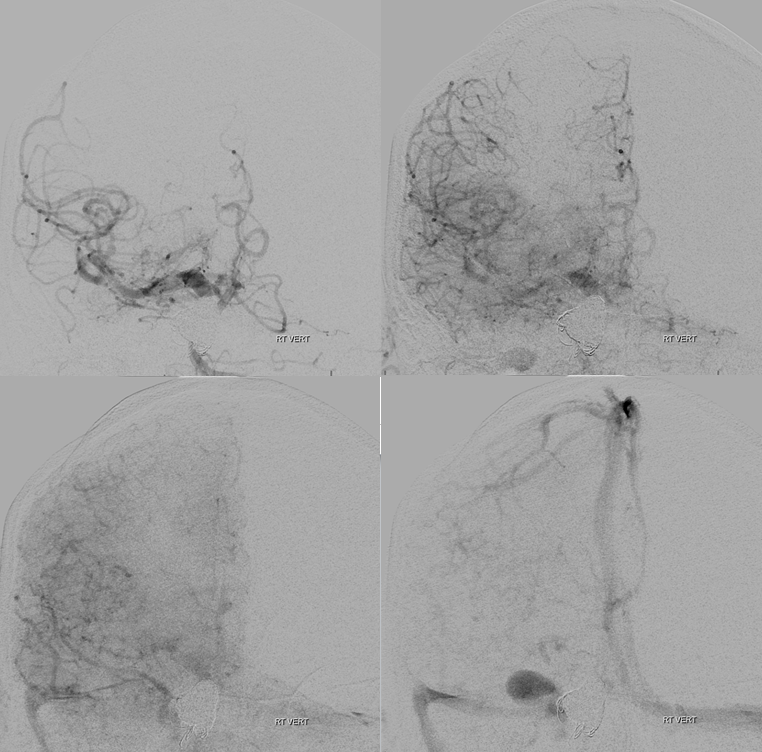 Post occlusion, external ophthalmic artery show retrograde ICA reconstitution distal to the fistula with no retrograde flow into the fistula, confirming its complete occlusion. 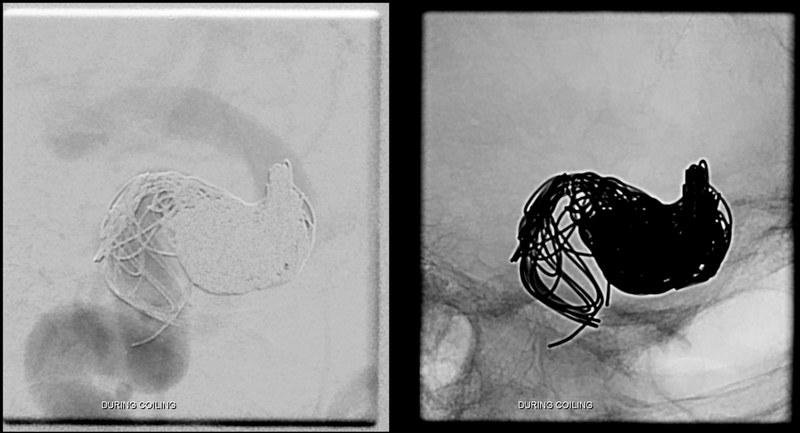 Radial sheath injection following embolization. 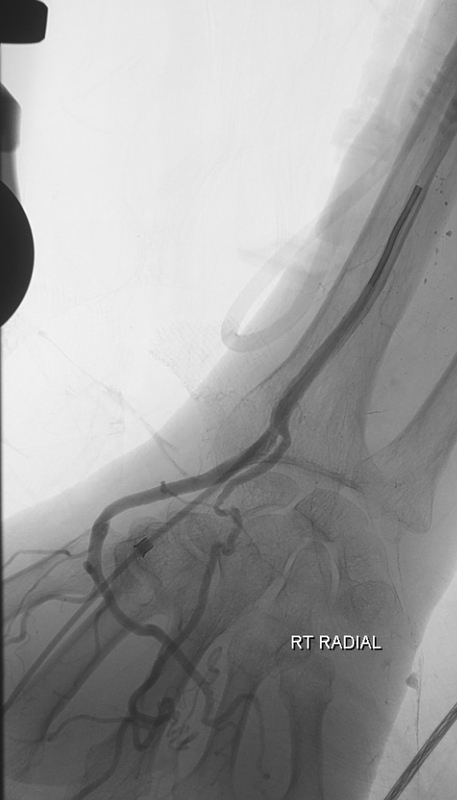 There is antegrade flow in the patient’s large radial artery. 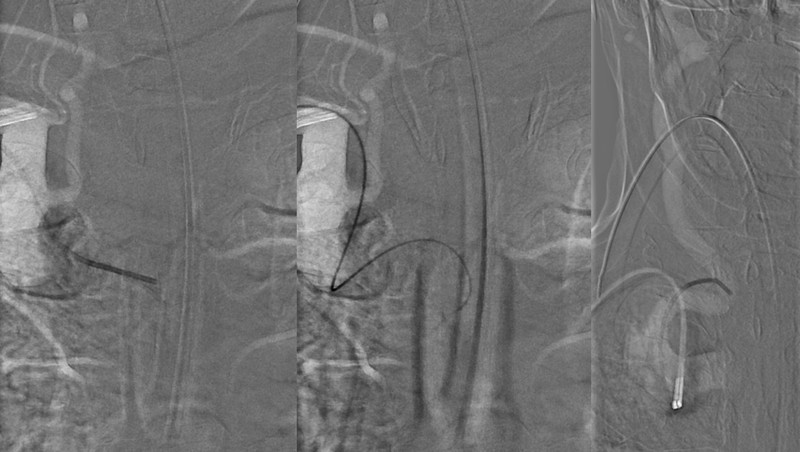 From the technical perspective another option would have been direct carotid puncture, especially as the artery would have been sacrificed anyway. 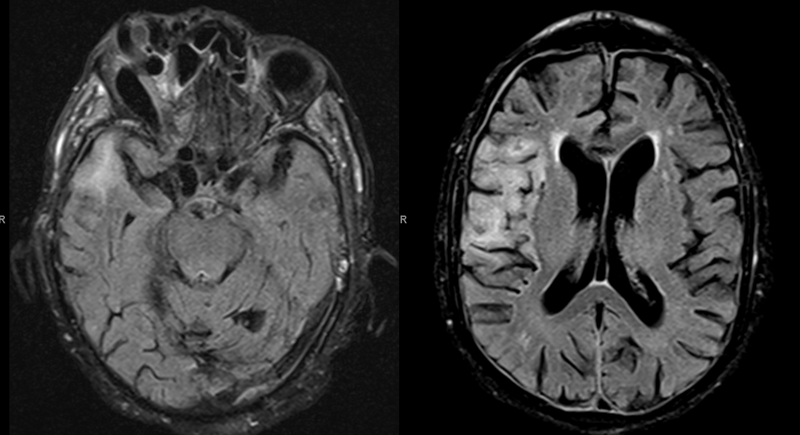 Unfortunately the patient did badly due to issues related to status epilepticus. 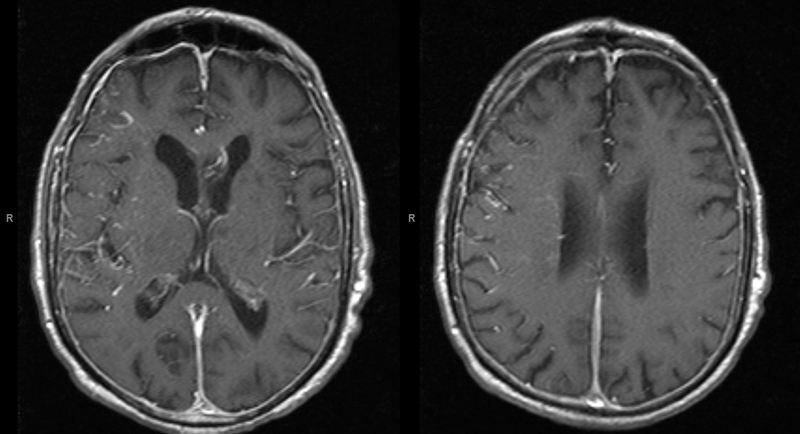 The status was precipitated by venous congestion of the temporal lobe. 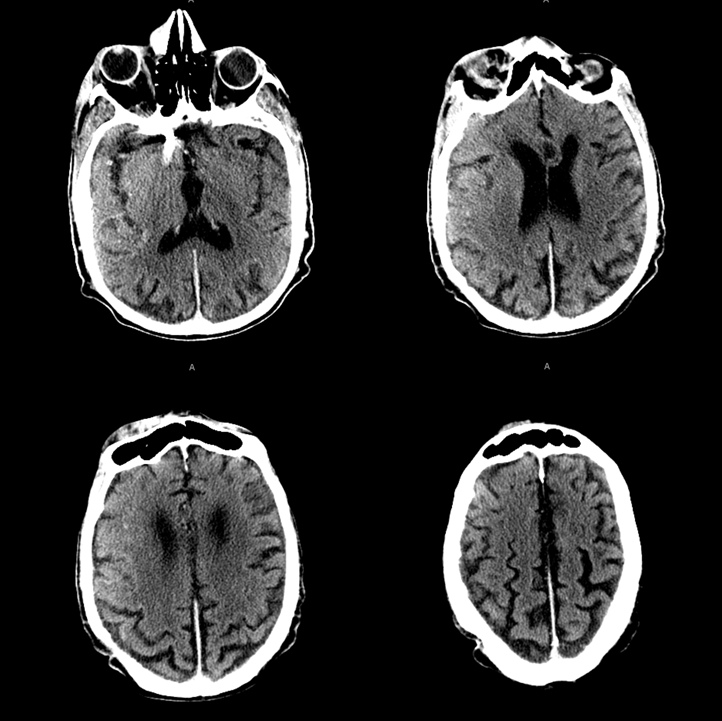 So, in the end, this is a technically instructive but disappointing case.